Motor vehicle accidents continue to be one of the leading causes of traumatic brain injury. Car accident victims who have suffered a traumatic brain injury, often live with physical, emotional, psychological and cognitive functions that are lost or forever changed as a result of the initial injury. Traumatic brain injuries, create life long losses that can affect every aspect of a persons life. In all cases of brain injury, physical damage to the brain is only the beginning of the domino of effects it will have on the lives of the victim and their loved ones. It is easier to understand the things we can see. If the brain is so damaged that it cannot send or receive signals, the body will die. When only certain parts of the brain are damaged, the body can survive. From the outside we might look exactly the same while inside, we are a completely different person emotionally, mentally and socially than before the accident. Each of these changes represents a loss of self that affects not only the victim but also the entire family. Although these losses are massive and heartbreaking to those involved, claims for damages must fit certain criteria to be covered in a personal injury lawsuit. While no one wants to imagine not being able to work, circumstances beyond our control, such as an accident or illness, can lead to injury and/or long term disability making employment impossible. The first thing you need to know when adjusting to life with a disability is that you are not alone. There are several resources, support networks and benefit plans available to help along the way. Whether the disability is mental or physical, some individuals have to learn how to accept ongoing medical care, support and/or physical therapy sessions. Some disability cases result in a loss of mobility or motor function, requiring assisted living. Instinctively, many people will dismiss or reject help. The idea of having to rely on something or someone is a huge adjustment that can threaten our pride and independent nature. Try to remember that your health and well-being are a top priority, so even if it is difficult to ask for help, gaining access to therapy and support services can greatly enhance quality of life. The RDSP is a long-term savings plan on behalf of the Government of Canada to help Canadians with disabilities and their families save for the future. The Assisted Living Program is an income dependent residency-based program that provides funding to assist in non-medical, social support services to adults with chronic illness, and children and adults with disabilities (mental and physical) so that they can maintain functional independence and achieve greater self-reliance. Occupational therapy works to break down the barriers which impede individuals in their everyday activities. Occupational therapists examine not only the physical effects of an injury or disease, but also address the psycho-social, community and environmental factors that influence function. Facing the challenges that lie ahead can be overwhelming, stressful, and downright scary. As with any big life change, the emotional aspect tends to take the biggest toll on us. Feelings of denial, grief and depression are commonly felt when learning how to accept, cope and survive financially with a disability. Thankfully there are resources, including family and friends, to help with this transition. Make sure you surround yourself with a strong support system, one that can help you maintain a positive attitude throughout both good and bad days. When you feel comfortable enough, don’t be afraid to open up about your situation. Be honest about any challenges and changing emotions, this will help the healing process and encourage others to remain open and honest with you. Living with a disability has the potential to affect everyone in the household. Work on keeping open lines of communication so that no family member feels unheard or left out. Be patient with yourself and your loved ones as you all adjust to new circumstances, challenges and emotions. Don’t be afraid to enlist the help of an experienced counsellor or therapist. Most people are not naturally inclined to deal with change well, help is always available if you need it. Long term disability insurance exists to replace income in the event of becoming disabled, either mentally or physically. These benefits apply to individuals with a long term disability who cannot work, in any capacity, for a long period of time. 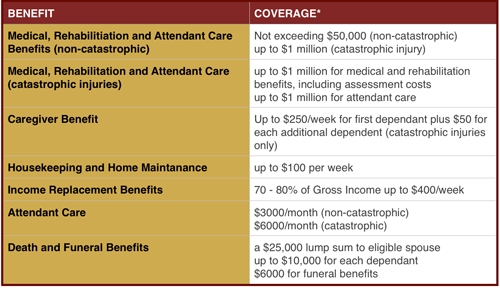 Note: Insurance plans in Ontario typically cover 65 – 80%* of total employment income. You are allowed to claim disability benefits from more than one source, but most plans ensure that the combined benefits received are no greater than your total income. *The exact amount you are entitled to claim will be determined by the insurance plan and individual circumstances. Disability insurance helps you meet your financial obligations by replacing your income if you have to stop working as a result of an accident or illness. The benefit amount is based on a percentage of your regular earnings (salary, commissions, etc) and unlike the CPP disability benefit which has some restrictions, you can use the monthly benefit as you see fit. You may be entitled to long term disability benefits under your employee benefit package or group insurance, if included in your employer, union or association’s plan. If an incident on the job results in an injury and/or disability, the WSIB is in place to provide care and support. Under Ontario’s workplace safety and insurance program, all businesses are required to have WSIB coverage in place. WSIB also offers return to work assistance for individuals who overcome their injuries/illness and want to re-enter the workforce. The largest long term disability government insurance program, the CPP disability benefit is a taxable monthly payment that is available to people who have contributed to CPP and are not able to work regularly at any job because of a “severe or prolonged” disability. WHAT IF MY LONG TERM DISABILITY CLAIM WAS DENIED? Talk to someone who has experience dealing with insurer denials, or who can deal with the insurer on your behalf. Trying to navigate through insurance company jargon can be confusing, frustrating and exhausting. A personal injury lawyer can help you read the fine print to ensure you have the evidence and documents needed to support your case. They can help you file a claim, or appeal your claim for compensation, providing access to industry leading medical experts, occupational therapists, pain management, and life care plans that can help make rehabilitation a little more comfortable. Read more about making a Long Term Disability Claim. When you go to see a prospective Toronto personal injury lawyer, he will have many questions for you. You will be asked about the accident, how it occurred, who was at fault, witnesses, injuries, medical examinations and diagnosis. Just as a professional in any field has varying degrees of ability and experience in different areas, personal injury lawyers do also. People who have been seriously injured may be eligible for compensation through the insurance company of the at fault driver(s) . Insurance companies are first and foremost running a business. They will defend their bottom line aggressively and have highly skilled and experienced lawyers and staff whose sole job is to find ways to deny or critically limit client rights to benefits. Do you specialize in a particular area of personal injuries? Have you successfully represented cases similar to mine? The likelihood of a winning case is very low with inexperienced representation. You want a personal injury lawyer with expertise and experience in winning maximum settlement awards in similar cases. The legal costs are the same, so hire a lawyer with a proven track record. The lawyer will need to ask you lots of questions and perhaps get signed releases to obtain further information, before answering this question. He must be able to prove that your injuries were caused by the negligent or careless actions of someone else, or that someone else was partially to blame. He must be able to prove that your injuries are genuine and life altering. While you are interviewing to find a lawyer who is best suited to represent your case, he will be evaluating you and your case to decide whether or not there is enough evidence to support your claim. 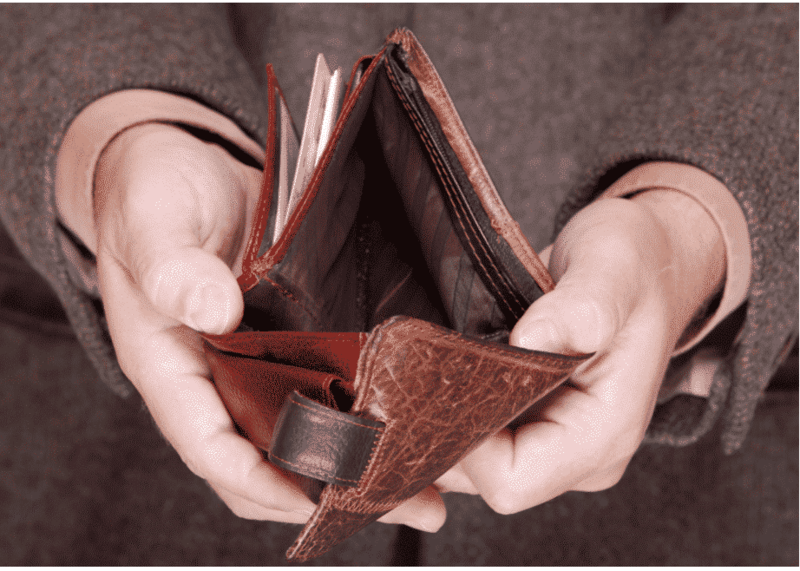 The financial costs and time required to prove a personal injury case are massive. Better for both sides to know up front whether or not you have a case. Do you have court room experience? Will you be personally representing me as my lawyer, or will you be passing my case off to a different lawyer or law firm? This is a very important question that should be asked of any potential lawyer or law firm. Not every law firm is equipped with the necessary knowledge, experience and resources to handle complex personal injury litigation. Its not uncommon for firms like this to refer your case to another lawyer or law firm in exchange for a finders fee. Does your law firm have the necessary financial resources to successfully represent my claim and skillfully litigate my case in court if required? Asking these and other tough questions will help you find the right personal injury lawyer for your case. Choosing the right lawyer can have a tremendous impact on the outcome of your claim. Car accidents are frightening and suffering from an injury adds more stress to the situation. You may then discover that the other driver does not have any car insurance. This can cause complete panic, as you wonder how you are going to cover repairs and medical costs. Insurance is required in Canada to ensure that every driver is financially responsible for their actions on the road. Even though it is illegal to drive without insurance, the Ontario Provincial Police’s highway safety division has stated there are nearly 2,100 uninsured vehicles involved in accidents on Ontario roadways each year. You will not be held responsible for their actions. Anyone caught driving without insurance in Ontario is still held legally responsible for their actions and any accident related injuries. It can also result in fines, vehicle impoundment and criminal charges. What if the driver who hit me fled the scene of the accident? Uninsured/unlicensed drivers are the most likely to flee an accident to avoid facing fines and legal action. You can still receive compensation for damages and repairs related to the accident. In the case where the driver remains unknown, you also have the right to pursue a case for compensation. How do I make a claim against an uninsured driver? While it may seem backwards to make a claim with your own insurance company for an accident that was not your fault, Ontario has a “no-fault” car insurance system. This means that if you are injured or your car is damaged in an accident, you would contact your own insurance company instead of going after the at-fault driver for compensation. The Ontario Insurance Act section 265 legislates that all people must have uninsured coverage, known as “section 265 coverage”. This means that every insurance contract or policy must have coverage for injuries caused by uninsured and unidentified drivers. This also applies for any passengers in your car, if they are injured in the accident, they will contact their own insurance company for benefits. In the case they do not have any insurance, your policy may pay for their damages as well. Even under a “no-fault” system, the law requires insurance companies to assign a percentage of fault for each of the drivers involved in the accident using “Fault Determination Rules”. These rules are regulated under the Insurance Act, and differ from any charges laid by the police under the Highway Traffic Act. Note: Any time you make a claim with your insurance company, you will want to ask about the deductible and any increases to your premiums before deciding to proceed with the claim. The Motor Vehicle Accident Claims Fund (MVACF) provides government funded compensation and/or statutory accident benefits to those injured who do not have insurance or who are involved in accidents with uninsured or unidentified drivers. This is considered a last resort to cover damages when there is no auto insurance coverage on behalf of either party available to respond to an injury claim for damages. Note: The claimant and his/her lawyer are responsible for obtaining a judgment by following the MVACF claim process. MVACF’s current third party liability limit is $200,000.00 (inclusive of pre-judgment interest), per occurrence, plus partial legal costs and disbursements. Most importantly, understand your options clearly. With any accident injury claim, there is a trial and judgement process, so it is extremely important to understand all of your rights before you proceed. Many insurance companies will require that you have the right documentation and correct forms, as well as proof of the accident. Understanding your rights and what you are entitled to after a car accident is essential. Speaking with a personal injury lawyer can provide a clearer picture of how injury claims work under these circumstances, so you can choose the best course of action for you. Visit our FAQ’s page for more injury claim, compensation and claim process information. Whether you were the driver, passenger or an observer, its normal to feel stressed, anxious, overwhelmed, even angry immediately after a car accident. It’s also normal to feel many different emotions or not much of anything at all, as everyone deals with trauma differently. Injuries sustained in car accidents are commonly described as whiplash, neck injuries, brain and head injuries, spinal cord injuries, back injuries, facial/dental injuries and internal injuries. However, it is the “invisible” (psychological) injuries that can sometimes be the most difficult for injury victims to recover from. Motor vehicle accidents can result in drivers and passengers suffering short or long-term psychological injuries such as emotional distress, post-traumatic stress disorder, persistent anxiety and depression. 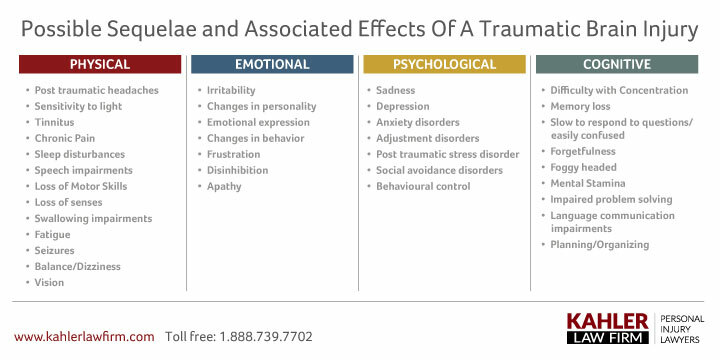 These psychological injuries affect every aspect of a person’s life and without treatment, can have long-lasting effects. Some Canadians develop ‘“vehophobia”, a driving phobia caused by a negative experience in the past. This phobia may be mild (fear of driving on highways) to extreme (cannot even be a passenger in a car). It can occur in people who have never been involved in an accident, so for those who have suffered a car accident injury, it is normal to experience feelings of fear and anxiety when thinking about getting behind the wheel again. These feelings tend to stem from subconsciously reliving the accident when confronted with situations or sounds on the road that remind you of the trauma. Having flashbacks and recurring thoughts like this are a form of PTSD, or post-traumatic stress disorder. Many people will notice these symptoms immediately after an accident. For those who continue to experience these feelings on an ongoing basis, there are treatments that can help you feel like yourself again. Note: In Ontario, your rehabilitative and therapeutic expenses may be covered after a car accident. Learn more about what you are entitled to when claiming car injury compensation. Anxiety support groups can be extremely helpful in allowing you to talk through your fears with a group who can relate and understand how you are feeling. This can help you realize your fears and anxieties are understandable, and that you are not suffering alone. A therapist will work with you so you can learn positive ways to cope with anxiety and control harmful thoughts, feelings and behaviours. If you are suffering from severe fear and anxiety, your therapist may also recommend exposure therapy, where you are guided to gradually and carefully re-live parts of the experience to work through the trauma and face your fears head-on. Minimize (driving) stress by taking care of yourself. Face your fears and deal with them head-on by incorporating a healthy diet, exercising regularly and spending quality time with family and friends. Making sure your mind and body are in balance can be extremely helpful when trying to overcome stress, nerves and anxious feelings. Gain a clearer sense of control in driving environments by having a driving instructor walk you through defensive driving procedures. This will help you respond calmly to stressful situations, boosting your confidence and skill on the road. Stay positive! Over time and with treatment, most people injured in a car accident are able to move on and heal, feeling comfortable enough to get behind the wheel and remember the traumatic event without reliving it. Within the discovery process, each party must give the other side an Affidavit of Documents, which lists all relevant evidence in their possession. The purpose of this is to allow each side to review the documents relevant to the case and therefore know the good and bad of both sides of the case, allowing them to come to a reasonable valuation of the file. 3. Schedule C lists all documents that used to be in the party’s possession or control and no longer are. The parties in turn, can ask to examine the documents in the other party’s Schedule A. The legal process of Document Production requires each party to produce any documents listed in their Schedule A and requested by the opposing side. If there are any documents that the opposing party believes is relevant, those can be requested during the discovery. The parties can ask questions about the other party’s Schedule B. For example, if Defence Counsel has had private investigators conduct surveillance of the Plaintiff, it may go in Schedule A or Schedule B according to their strategy. If it is in Schedule B, the Plaintiff will not get a copy of it, but can request a summary of what it shows. If either party has witness statements, they may go in either schedule. If they go in Schedule B, the party has to identify who the witness was and what their contact information is, as well as provide a summary of the evidence that the witness has given. Schedule C is a rare category and there are typically no documents that go in it. An example of something that would go in it would be if a plaintiff took photographs of the accident scene on their cell phone, but their cell phone was subsequently broken, lost, or stolen and thus the photographs could not be retrieved. The discovery stage of a personal injury lawsuit gives each side the opportunity to further collect, evaluate and investigate information relevant to the claim. Discovery is less formal than trial and there is no judge present. The party, along with their lawyer, and the opposing lawyer(s) will present at this proceeding. In the case of an injured person (the Plaintiff), their lawyer will be there and then the lawyer for the insurance company of the Defendant will be there. Typically, the other party is not present during the discovery, but there are exceptions to this. At the discovery, the party’s testimony is taken under oath and transcribed by a court reporter. This is the first time that the defense lawyer will meet the plaintiff in person. Each opposing lawyer is given the opportunity to directly ask questions of the Plaintiff. They find out what information the other side has. The lawyers will use the transcripts to review and prepare their side of the case for mediation/trial. Body language, personal appearance, and pauses in speech may all be considered in assessing your strength and believability as a witness, which may play a part at a Mediation or Pre-Trial. The discovery process expands on the information contained in statement of claim and statement of defense documents, as well as clarifying points of uncertainty. Your personal injury lawyer will make sure you are well prepared for the discovery process so that you know what to expect and are able to stay as confident and relaxed as possible. To better understand the purpose of discovery it helps to know what the goals and intended outcomes are for each of the parties. What does each party want? To be successful, the Plaintiff must be able to prove that he was injured because of the actions of the person or company being sued and that he suffered loss because of his injuries or that he is unable to work due to a disability and that his disability benefits / income replacement benefits were wrongfully denied. He must be able to provide supporting evidence for the dollar amount of his claim. He needs to find out what arguments the defense has that stand in his way and dispel them. Also to be successful, the Plaintiff needs to be likeable and credible. This means being genuine and forthcoming in your answers. Do not try to hide anything. Do not cross your arms or glare at Defence Counsel. The best-case scenario for your discovery is that Defence Counsel writes to the insurance company “A jury is going to love this Plaintiff. We had better settle before Trial”. Counsel for the defense represents the insurance company of the person or company being sued. It is the job of the Defence Counsel to find out as much information as possible in order to support his recommendation on how much to pay the Plaintiff at the end of the lawsuit or what the risks of going to trial. At the same time, his goal is to find out any information that can be used to minimize the amount paid out to the plaintiff or to refuse to pay the disability benefits. To be successful, Defence Counsel is looking for any evidence that supports arguments that the person or company being sued is not at fault for the injuries, the injuries are not that bad or are not related to the actions of the person or company being sued, or that the plaintiff can do their job, do their own housekeeping and personal care, and no longer needs any medical treatment. They are also looking for any discrepancies in the Plaintiff’s testimony to show that the Plaintiff may be lying. Although the discovery stage is less formal than court, do not assume it is trivial. All information exchanged will be recorded and, if relevant, can be used as evidence during trial proceedings. It is important to wait until the lawyer is completely finished with his question before you reply. Even if you know what the lawyer is going to ask, the transcript cannot record two people talking at once. Many questions lend themselves to a simple yes or no answer. If that is the case, provide a yes or no answer. Other questions are presented as a statement of truth and require the person under oath, to agree or disagree. People often feel that if it is mostly true, they should agree simply to be friendly or agreeable. Do not do this. If only part of the statement is true, advise that you agree with that part and deny the rest. If none of it is true, deny the statement. If it is almost true, advise of how it needs to be corrected. Defence Counsel asks you if you are back to work yet and the answer is no, but you are considering a return to work place once able to do so. The answer is no and no elaboration is necessary. They will ask about why not or any return to work plans. If they do not ask about this, the perception is still accurate – you are not back to work yet. Defence Counsel asks you if you can mow your lawn. You can physically mow your lawn and you did once when your mother-in-law was coming to visit, but it left you in bed for three days due to the increased severity in your pain symptoms and you have not done it since. The answer is not no, you cannot physically mow your lawn. You have successfully done it and if the world were going to end if you did not mow your lawn, you could do it again but again be in 3 days afterwards. The answer is yes, you can mow your lawn, but further elaboration is needed. If you simply say yes, Defence Counsel’s perception will be that you do mow your lawn. You need to elaborate that you can mow your lawn, but it causes an aggravation of your symptoms to the point where you were in bed for three days after attempting it and you no longer attempt it. This answer will leave an accurate perception of your abilities with Defence Counsel. The lawyers for each party will use the information gleaned from the Examination of Discovery to build the case for their own argument. Each side follows up after discovery by providing and researching any documents (known as undertakings) that have been requested from the other. The Rules of Civil Procedure provide a very short period of time to provide undertakings, but the reality is that most undertakings involve obtaining documents from third parties and this can be very time consuming. As such, it can take 9 months or longer to supply undertakings. Thorough preparation prior to discovery can positively impact the size of your personal injury settlement. 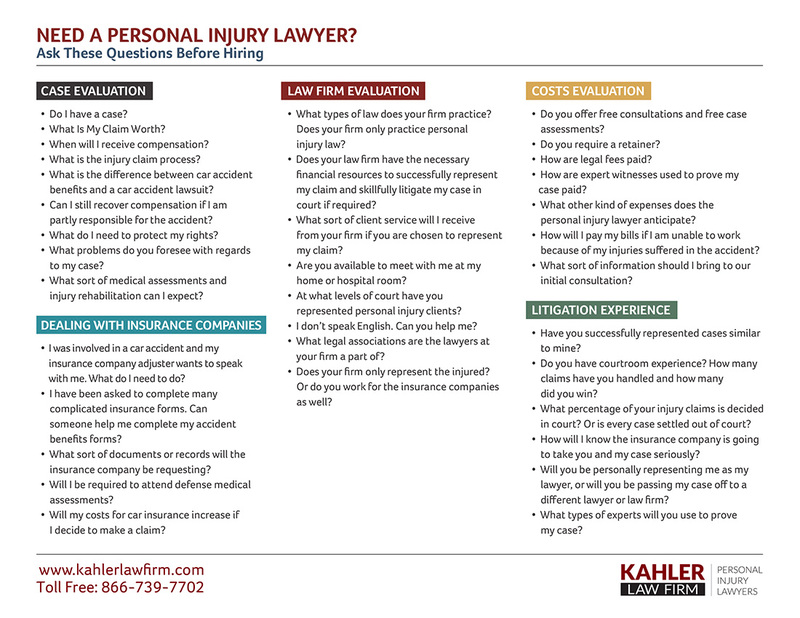 One of the Kahler personal injury lawyers will walk you through the process and prepare you in advance. Have you review a timeline of events related to injuries, rehabilitation and or post accident work history. Perform a pretend Q and A examination that will further educate you on how to best respond. Be friendly and approachable. Make eye contact and smile. Do not be short or cross. Do not cross your arms or glare at anyone. Do not look to your lawyer for approval before answering a question. If the question is inappropriate, your lawyer will interrupt. Give only verbal answers. Nonverbal answers do not show up on the transcript. Listen to the whole question and then think about your answer before answering. Do not elaborate, with the exceptions above. In addition to the medical examinations carried out by your own physicians and specialists, your lawyer and Defence Counsel may require you to undergo medical or psychological assessments with doctors of their choosing. These are not doctors who will provide you with treatment, but ones who will assess you and provide the lawyer who hired them with a report on your condition. In many cases, the findings of defence medical assessors conflict with earlier reports and leave you feeling vulnerable. Although this process can be very uncomfortable, it is to be expected. A list of tips will follow in another blog. Investigations, on both sides, continue until the case is settled. 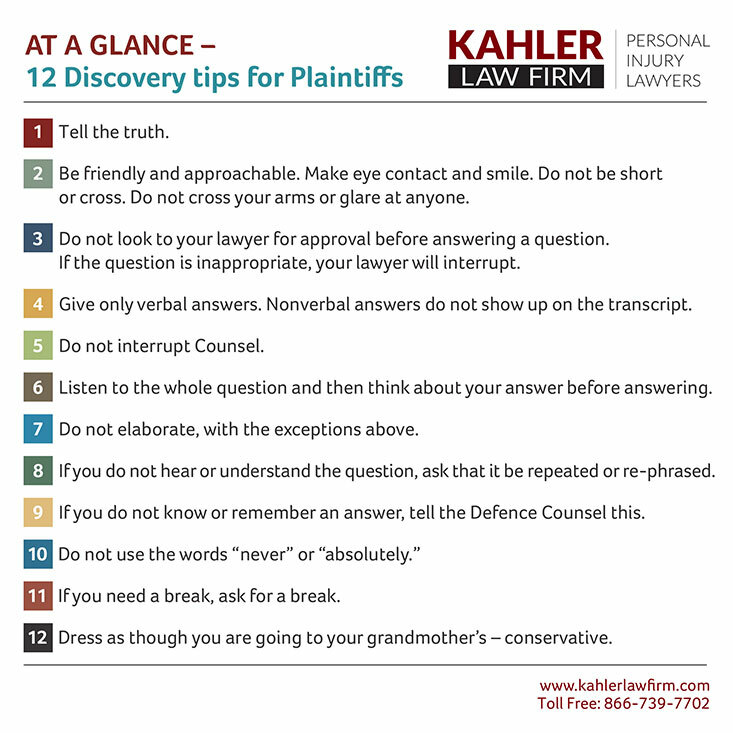 At the Kahler Personal Injury Law Firm we continue to prepare your case for trial. Preparation is a powerful predictor of success, and many of our cases settle out of court. Coping with an Accident Injury: What accident benefits and expenses are covered in my claim? When you find yourself injured from an accident, there are so many different things to think about, it can be overwhelming and leave you unsure where to start. Medical bills and rehabilitation costs can add up quickly after an accident injury, and the last thing you want to be doing is dealing with the stress of trying to understand what rights and benefits you are entitled to when making an accident injury claim. Before starting the process, it’s important to know your rights as an accident victim and the benefits that are available to you as an Ontario resident. If you are seriously injured in an auto collision, your rights and accident benefits (AB) coverage entitle you to compensation for expenses relating to medical and rehabilitation treatment, income replacement and other benefits and care items that assist in your recovery. It is generally assumed that once you make an accident injury claim and provide the required documentation, you will go through the claims process and receive your accident benefits and compensation. However, the legislated systems in Ontario can often seriously limit your ability to sue or recover damages and a common first step used by insurance companies is to deny or limit claims. If your claim is denied, you have the right to launch a dispute to review your insurance company’s decision. You can also seek help from an injury lawyer for experienced advice and support throughout the claims process. Accident victims backed by the guidance and support of an experienced and knowledgeable personal injury lawyer find insurance companies far less argumentative. In order to receive the benefits you are entitled to in an accident injury claim, it is important to understand and learn more about what is available to you. 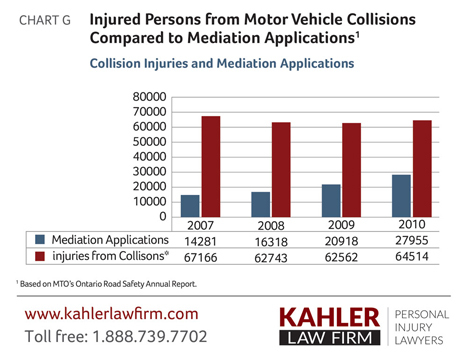 To make this process a little easier, we have provided an overview of the accident benefits in Ontario. Medical benefits cover all expenses deemed “reasonable and necessary” on behalf of the insured person as a result of the accident. This benefit covers measures necessary to help with the effects of an accident, including a disability or reintegration into family, society or the workplace. Depending on the type of injury, your benefits may also include visits to a chiropractor, physical therapist, psychologist, speech or occupational therapist, and/or massage therapist, and a number of other rehabilitation providers. For those injured and employed before the accident, this bi-monthly income replacement payment can help to replace income lost during recovery, or while unable to return to the workplace. When dealing with an injury, it can be difficult or impossible to maintain your home. This benefit provides up to $100 a week for housekeeping and other home maintenance expenses. After a car accident, anyone who has been injured can make a claim regardless of whether or not they were at fault for the accident. This includes drivers of involved vehicles, pedestrians, cyclists and passengers. Although anyone injured in a vehicle accident can make a claim, the entity responsible for compensation will vary. Click here for more about claiming car accident injury compensation and accident benefits. When people are injured in a car accident, the physical signs of injury can heal within a few months, in spite of remaining pain. Chronic pain is defined as pain lasting for a minimum of 6 months. In many situations, the pain begins due to an auto accident. Chronic pain is a difficult disability to measure and often times leaving a lack of medical evidence. If long term chronic pain disability can be proven as a result of the crash, then those injured may have a legal right to compensation. If there is no proof of pain, then benefits and compensation may be denied. When clients suffer from chronic pain in spite of “inconclusive tests” ; insurance companies focus on these points to avoid paying out benefits and damages. When this happens, its the job of your personal injury lawyer to find other ways to prove that your disabling post accident pain legitimately exists. Your lawyer should examine all available evidence from the day of the accident. This includes research on accident reports both written and in photo. Depending upon the details of the crash, medical reports and your symptoms, your lawyer may choose to carry out further investigation. Thorough examination of the accident scene or eyewitness reports may yield valuable evidence that would otherwise be lost. Personal injury lawyers work with accident reconstruction experts who understand the way different types of crashes affect vehicles and vehicle occupants on impact. Combining specific information, from all available sources, these specialists are able to recreate and explain causation, fault and the mechanisms of injury. 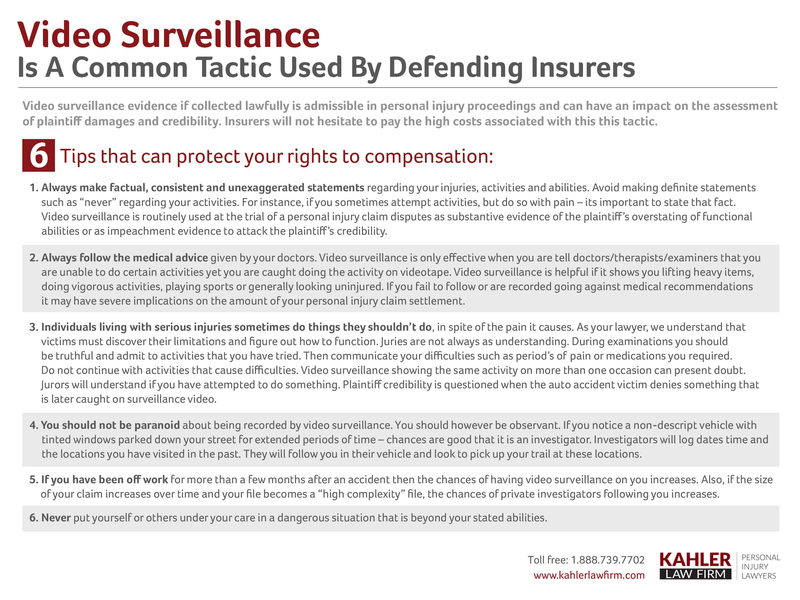 Surveillance and tests of credibility will be used by defending insurers. It is important that plaintiffs are honest, do not exaggerate and are consistent with their responses. It is important that your lawyer is able to dispel the argument that your injuries are motivated by financial gain. Pinpoint overlooked physical diagnoses in chronic pain that are commonly incomplete or inaccurate. Understand normal versus deviant results. With appropriate evidence and multidisciplinary knowledge, experts can demonstrate how these irregularities affect the way body systems work together as a whole to produce pain and disability. Demonstrative evidence is a valuable component of any personal injury case. It allows the jury to visually absorb large amounts of information quickly. As the complexity and volume of information increases – so does the need for demonstrative evidence. Demonstrative evidence in chronic pain cases may include: Accident reconstruction illustrations, enlarged accident photos, medical illustrations, neuro-imaging results, symptom severity charts, medical attendance charts and employment attendance charts. 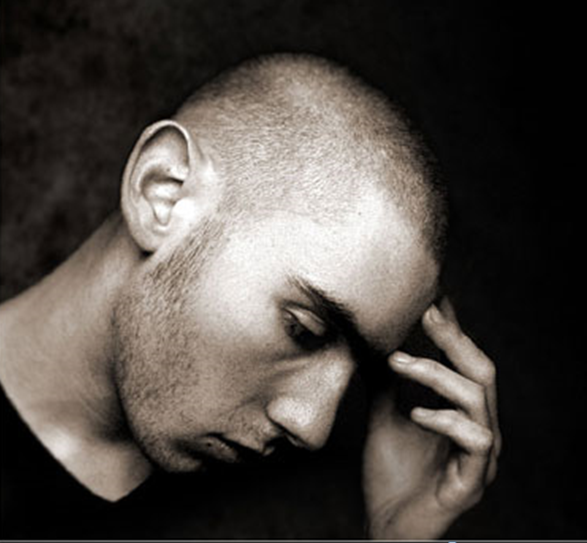 Prolonged pain can lead to both psychological and physiologic consequences. Medical experts for the plaintiff should diagnose and report on other related symptoms such as: health perception, physical function, role-physical, role-emotional social functioning and mental health. People involved in motor vehicle accidents do not always have pain immediately following the crash. The effects of head and soft tissue injuries may not be obvious until a few days later. 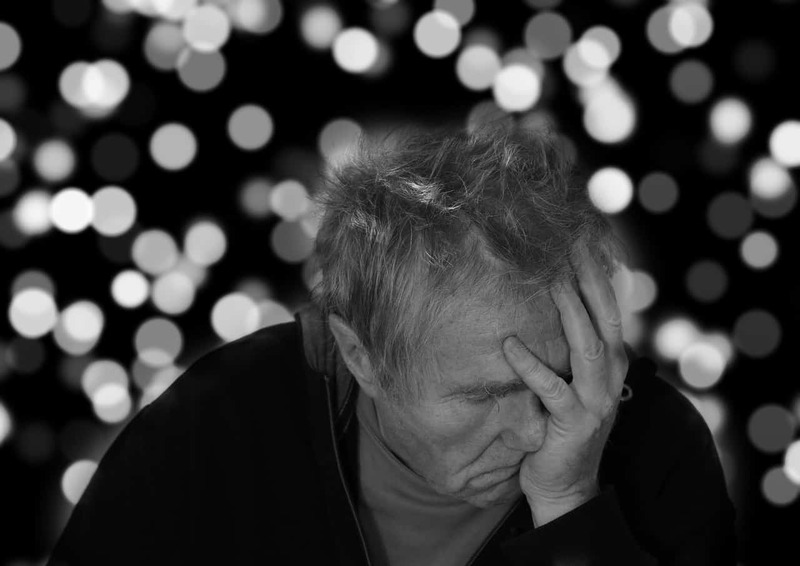 In many cases these invisible injuries develop causing pain and issues such as loss of mobility, headaches, poor concentration, memory loss, and vision problems. You may be instructed to keep brief notes of continuing symptoms. This information is valuable evidence to build your case. Pain typically motivates people to seek treatment. A plaintiff’s history of regular medical appointments should be well documented. Your personal injury lawyer should collect evidence of your past history, regarding physical abilities, hobbies, education, family and work responsibilities. This pre-injury information should be measured against post injury abilities and lifestyle changes. Properly given testimony from family members and work colleagues can provide useful leverage in settlement negotiations and at trial. Kahler Personal Injury Lawyers have achieved exceptional awards for clients who suffer from chronic pain. Its exhausting and frightening to face pain everyday. It takes away income, family time and hobbies. We use a combination of legal knowledge, scientific studies and investigative skills to demonstrate and prove the legitimacy of your chronic pain claim.